Pyramid Lake, Nevada is famous for being home to giant Lahontan Cutthroat Trout and fly fishers from all over make the annual pilgrimage to sample this great winter/spring fishery. There are many anglers but only a few connect with the really big specimens each year and our guest speaker, veteran guide and outfitter, Dave Stanley guided many of these successful anglers. 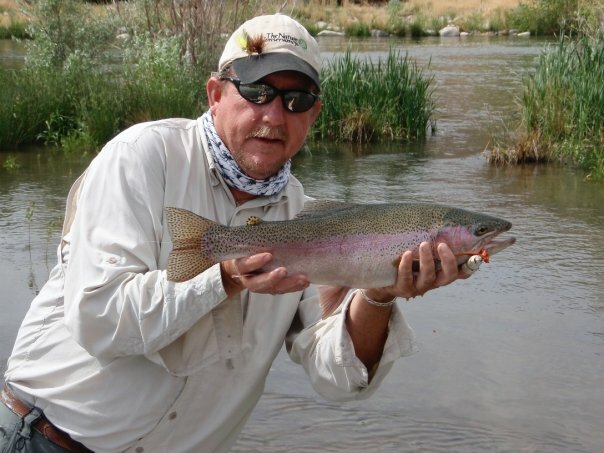 Dave also authored the definitive No-Nonsense guide “Fly Fishing in Nevada” and has many years experience guiding and fishing in this region. Join us Saturday, February 10, 2012 from 10 a.m. – 4 p.m. for an informative day with Dave and Scientific Angler, Ross and Umpqua representative Darin Elmore. Dave’s presentations will be at 11:30 a.m. and 2:30 p.m. but he will be in the shop all day to answer questions about this world-class fishery. See you at the Spot.